Your landlord must give you back your bond by 7 business days after your lease ends. If they want to keep some or all of your bond they must tell you by 7 business days after your lease ends. If you don't agree about how much bond you should get back, get legal advice from a lawyer. If you don’t know if you have a bond that you should get back, check this website run by NT Consumer Affairs. To pay electricity or gas bills. give you receipts for how much it cost. give you a statutory declaration that what they say is true. talk or write to them. talk to a legal service to get help. This factsheet tells you about your bond. This factsheet tells you about condition reports. 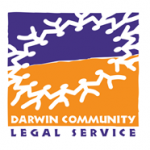 This factsheet tells you about taking disputes to the Northern Territory Civil and Administrative Tribunal. This short video tells you what to do when you first move into a house, and what you can do if your landlord does not want to give your bond money back. The Northern Territory Civil and Administrative Tribunal (NTCAT) is a special kind of court that helps people quickly solve problems that might take a long time in other courts. It tries to be low-cost, easy, quick, and informal; to use plain language; and to help people with special needs. It helps with problems like disputes between tenants and landlords, and other kinds of problems. A statutory declaration is a form that you use to write down what has happened. You have to sign it in front of someone to say that you believe it’s true. Only people in certain jobs can sign your statutory declaration. Money your landlord asks you to pay when you first move into the house. This is different to rent money. The bond is a type of protection for the landlord. The landlord can use this money to fix anything you break or damage, or if you don’t pay your rent. Your landlord can’t ask you to pay more than four weeks rent for the bond payment.